At the World Finals McKinstry won the 1st round and put all the pressure on the two racers chasing him (James Erwin and Justin Rosentreter). Rosentreter bowed out in the first round leaving it down to McKinstry and Erwin. When McKinstry lost in the second round all he could do was sit and watch and hope for the best. McKinstry knew that Erwin would need to go to the final round to have any chance of winning the National Championship. But that didn't stop him from pacing around the starting line watching as Erwin lost in the 2nd round. 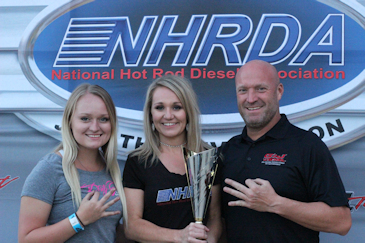 Scott McKinstry was now the first NHRDA Sportsman driver to 3-peat as National Champion.